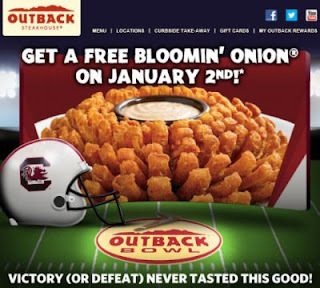 Free Bloomin' Onion on Jan 2nd, 2013 with any purchase. South Carolina won the Outback Bowl. 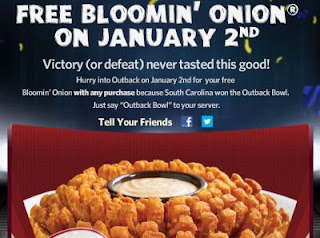 Just come in and say "Outback Bowl" to your server.